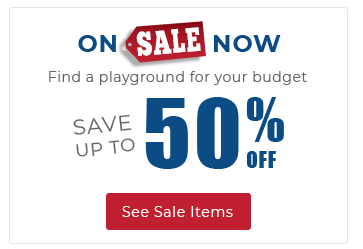 We offer bundled playground equipment packages that include everything you need, from start to finish, to complete the perfect playground. 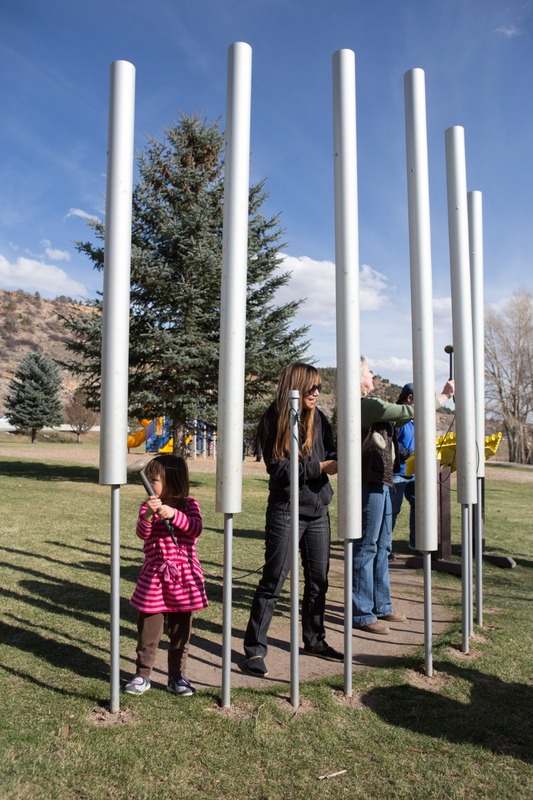 The Contrabass Chimes are one of the most impressive sculptural-like outdoor musical instruments. 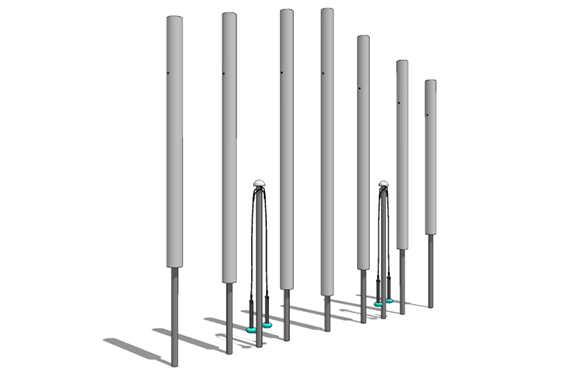 They are stunning in both their towering appearance and low resonant sound. The outdoor musical equipment from American Parks Company offers a multitude of social, cognitive, and healing benefits. They can be a fun and motivating way to teach all children, particularly children with special learning needs. Music therapy has been shown to stimulate speech development, provide organization for cognitive and motor development, and create a meaningful environment for socialization. There are 7 aluminum chimes pitched one octave below middle C, and 2 mallet poles or 4 total mallets. This means 2-4 people can be involved in making music! 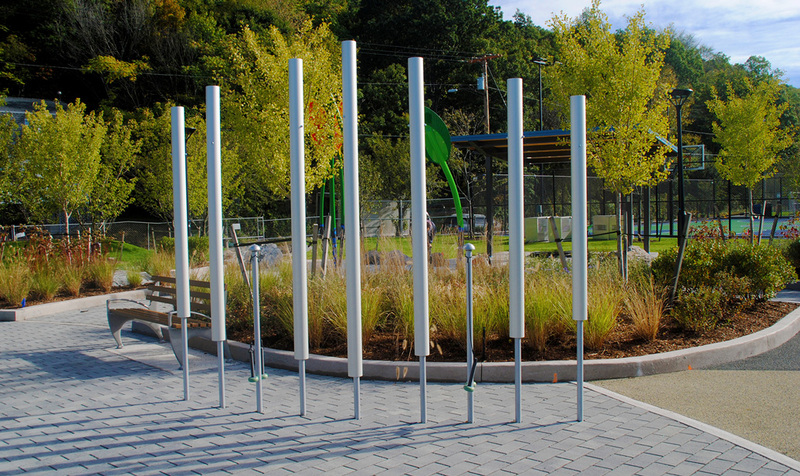 The chimes are constructed from 4 inch diameter heavy duty anodized tubes and range in height from seven to nine feet. Have questions or need help? © 2019 American Parks Company All Rights Reserved.